So we produce the finest portable computers ever known to mankind, and some greedy opportunists nevertheless see this as a chance to get rich by filing a lawsuit. See here and here. These frigtards are accusing us of false advertising about our displays. Or are they? This was reported on Engadget, after all, and we know how reliable they are. 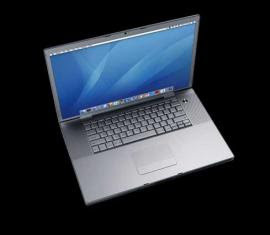 The giveaway that this might be another hoax: Plaintiffs claim the “display problems are not visible when they boot Windows XP on their Intel-based MacBooks and MacBook Pros, suggesting that Apple’s operating system is to blame.” Er, right. Engadget, you might want to double-check your “sources” on this one. » How much for that MacBook Pro in the window? » Linux dudes love Macs. Who knew?